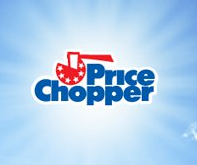 Price Chopper Weekly Coupon Matchups 2/15-2/21! Earn game tickets w/ the Bags To Riches Game thru 3/14! Boneless Pork Sirloin Cutlets or PC Boneless Chicken Thighs savings pack - $1.99 lb. 16-20 ct. Raw Shrimp - $9.99 lb. Red or Green Peppers - $1.67 lb. White or Green Asparagus - $2.99 lb. Red or Green Seedless Grapes - $2.49 lb. Beefsteak Tomatoes - $1.77 lb. PC Honey Turkey Breast - $6.99 lb. D&W Deluxe Cooked Ham - $6.99 lb. D&W Horseradish or Roasted Garlic Cheddar - $7.99 lb. Plainville No Salt Turkey Breast - $8.99 lb.